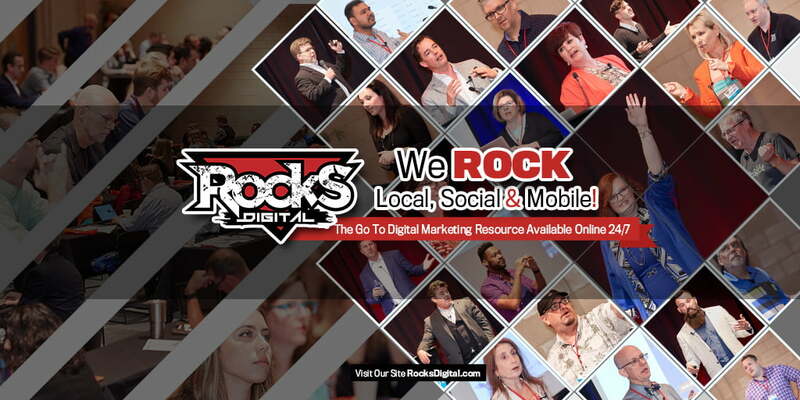 The Rocks Digital 6th annual Local Search Day and Social Media Day celebration was one ROCKING time! We had tons of fun and learned about all things digital marketing-related during the 2-day event. The party… oops, we mean the conference… attracted 250+ attendees ranging from SMBs, entrepreneurs and marketers to enterprise level organizations and digital marketing agencies. Speakers traveled literally from around the globe to attend and present at Rocks Digital 2017, with one keynote speaker traveling all the way from the Netherlands, and a break-out speaker flying in from Pakistan. While Rocks Digital is homegrown, it is a national conference that occurs each and every year to celebrate Local Search Day and Social Media Day! With 31 speakers and 27 presentations, attendees learned from the best of the best! Every presentation carried the common theme of focusing in on Local, Social and Mobile in our changing world. Here’s a wrap-up for you on all the goings-on. Save the date now and plan ahead to attend next year. 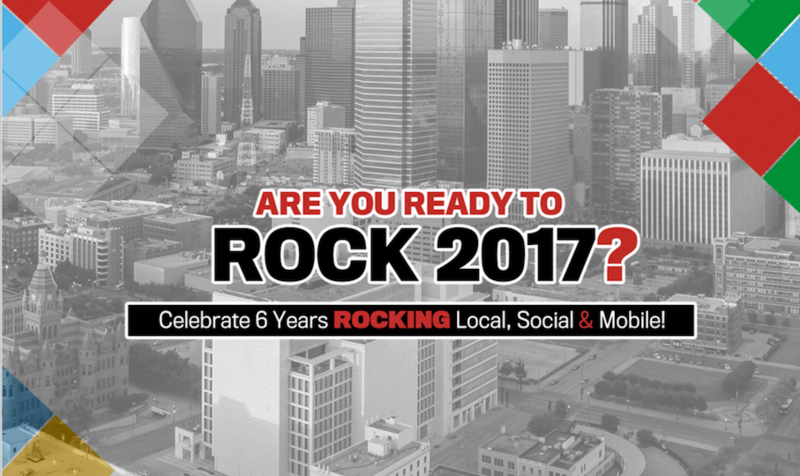 Let’s take a look at what we covered at the 2017 Rocks Digital Marketing Conference. 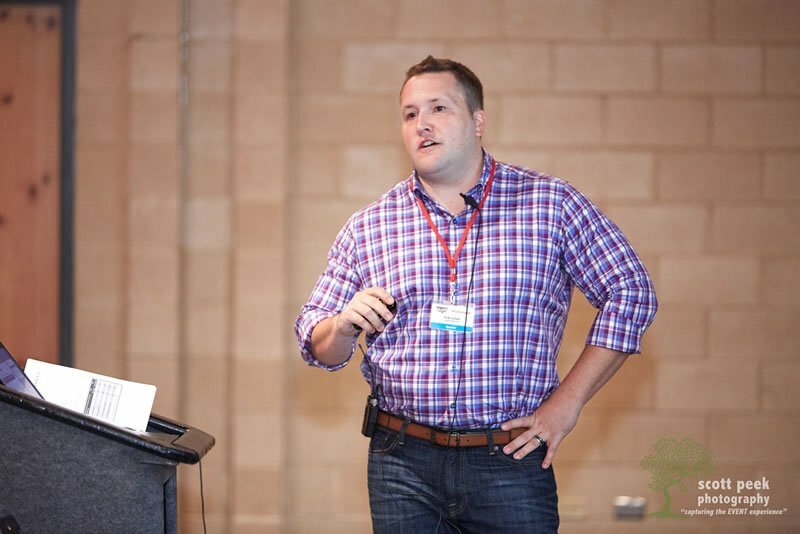 We had four amazing keynotes this year from Yelp, Navads, Local Search Association, and HubSpot. These search experts shared their extensive knowledge with attendees and gave insights into the future of search. One of the attendee favorites, Rocks Talks, returned again this year with TEDx style presentations that taught, inspired, and motivated all of us to Rock our digital marketing! We learned how to make Big Phat Progress and leverage geo-targeting, as well as to see the evolution of digital marketing with a bit of encouragement to believe in ourselves! After a picnic-style lunch filled with sandwiches, pasta, chips and networking, attendees returned to find the venue reset into a break-out session setup. For the next two hours attendees selected from 12 break-out sessions to attend and learn from the national and local experts on the topics of Local, Social and Mobile. The Local Search and SEO track followed the evolution of SEO and where it’s headed, link building, and we even learned about the Zombie Search apocalypse! Lance Bachmann, Moosa Hemani and Michelle Stinson Ross brought their A-game to this track. While we weren’t lucky enough to get a live blog from each session on this track, read the ones we did capture now. 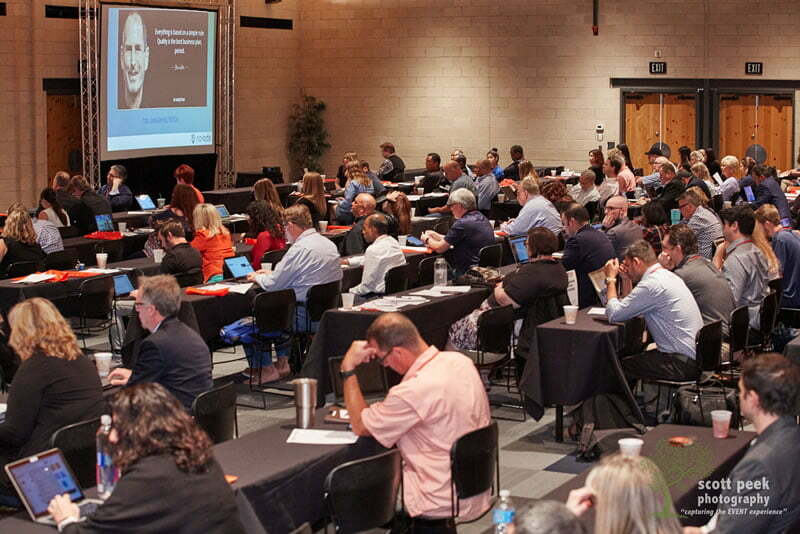 The Social Media track topics were Rocking at the Rocks Digital Marketing Conference! Social experts shared on the power of social connection, using video for engagement, and discovering the platform where your target audience can be found. We also learned the best way to slay our social media goals! 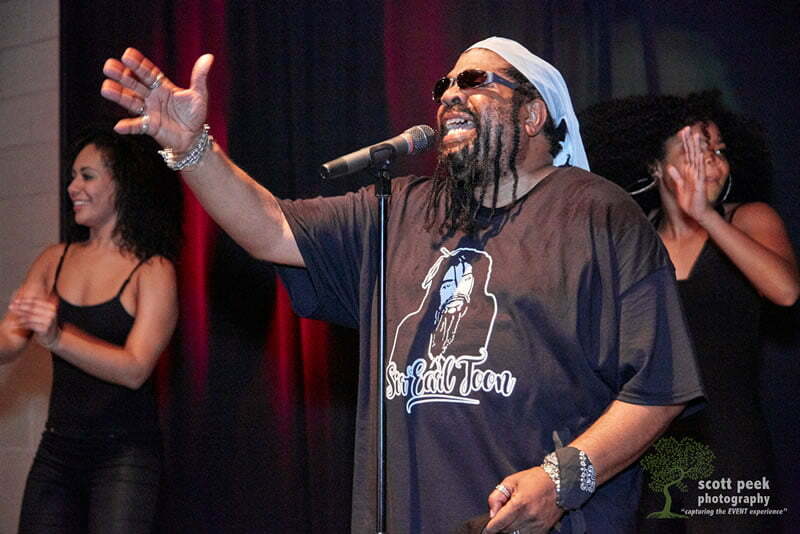 Karen Liz Albert, Katy Katz and DeAndre Upshaw took attendees on a special social journey. Here’s the live blogs we captured. Our Mobile and Web track experts shared their knowledge with us on a variety of topics. A main focus of these sessions was the importance of keeping your eyes off the search engines – and on the consumer. And to keep things interesting, we went a little sci-fi in our digital marketing. Casey Markee, Robin Moss and Jeff Whitfield took this track’s attendees on a journey to better local, web and mobile marketing. We were only able to catch one live blog on this track. Read it now. After the break-out sessions ended we went into a 30-minute networking break. This gave attendees the chance to grab a quick snack, meet with sponsors, and get some one-on-one time with the speakers and other attendees. Was new business done at this conference? We can answer with a resounding yes! Behind the scenes, the conference team flipped the venue back to full space for the Local Search Day Expert Panel and the two final keynotes. From SMBs to brands and multi-location enterprise, the goal is to extend local reach. Our panelists examined and discussed mobile, search, and location data using real-world examples to help attendees strengthen that digital footprint! Advice Local CEO Bernadette Coleman moderated the session. Panelists included Danielle Hanson of Thinknear by Telenav, Chris Marentis of Surefire Local, Hillit Meidar-Alfi of Spatially, Inc., and Brad McCormick of Moroch Partners. Check out the live blog now. We rounded out the first day with a Social Media Day celebration like no other as conference favorite Sir Earl Toon, Mister Celebration himself, joined us and we ROCKED the night away! Day One definitely ended with excitement and inspiration! The 2nd day of the 2017 Rocks Digital Marketing Conference was a day of workshops, giving attendees a chance to do hands-on work on the areas where they need help, new ideas, or a boost in their digital marketing efforts. These workshops were divided into three focus areas: Paid Media, SEO, and Digital. Most businesses and brands use some sort of paid advertising in their digital marketing strategy, and if they don’t, they should. The Paid Media workshops were all about how to make the most of advertising dollars. The topics included PPC, Facebook Ads on a budget, and the selling power of content marketing. SEO can seem mysterious and even frustrating, and these SEO workshops helped to demystify the subject. We learned about on-page and off-page SEO, how to understand Google Analytics, and what SEO really is. Question: How do you feed search and social what they want? Well, this year’s digital workshops shared exactly how to do that. Attendees learned how to tell the story of their business by J Schuh and share it online from Lissa Duty. Followed by getting their burning digital marketing questions answered by a panel of experts, Byron Ingraham, John Nosal and Mike Stewart. 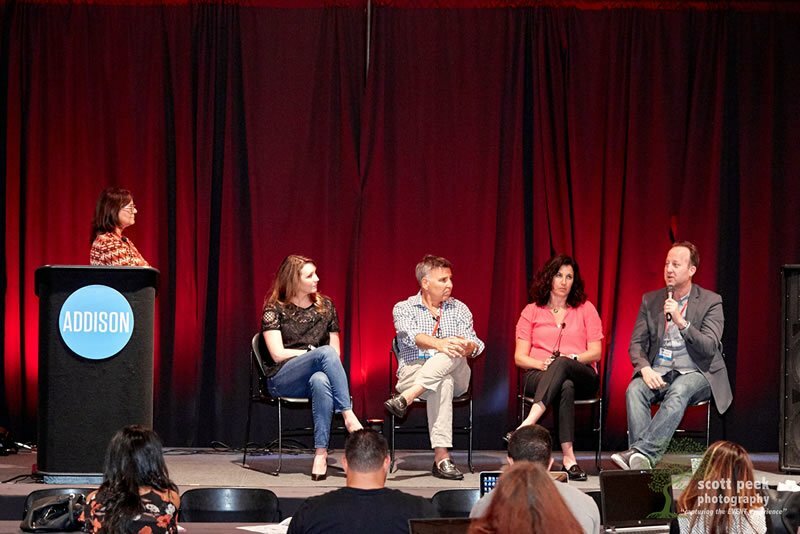 OK – once we had closed out this ROCKING 2-day digital marketing conference our heads were full of exciting new info, and you can bet everyone was fired up to start implementing all they had learned. None of this would happen each year without awesome attendees, supporters, and our ROCKING sponsors! 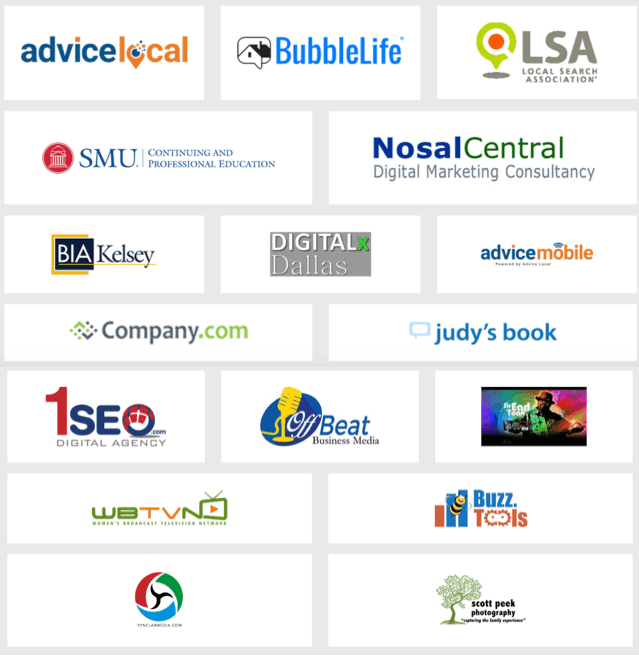 Meet Our ROCKING Rocks Digital Sponsors! Yes indeed, a Rocks Digital sponsorship includes exposure year-round. Consider sponsoring us for 2018 and get promoted through next year. Learn more now! Just like with Mardi Gras, when the party’s over, next year is already on the burner – and YES, planning for the 2018 Rocks Digital Marketing Conference is underway. Subscribe to our blog to make sure you get in on all the information, fun and networking next year! Since we are also a content site that publishes 3 to 5 days a week, you’ll get new digital marketing-related content delivered to your email inbox daily, with the inside scoop as the 2018 conference planning evolves. Remember to save the dates for next year on your calendar TODAY, because we’ll definitely be having another ROCKING time!